Today I'm here with another review thanks to the team at HiShop! 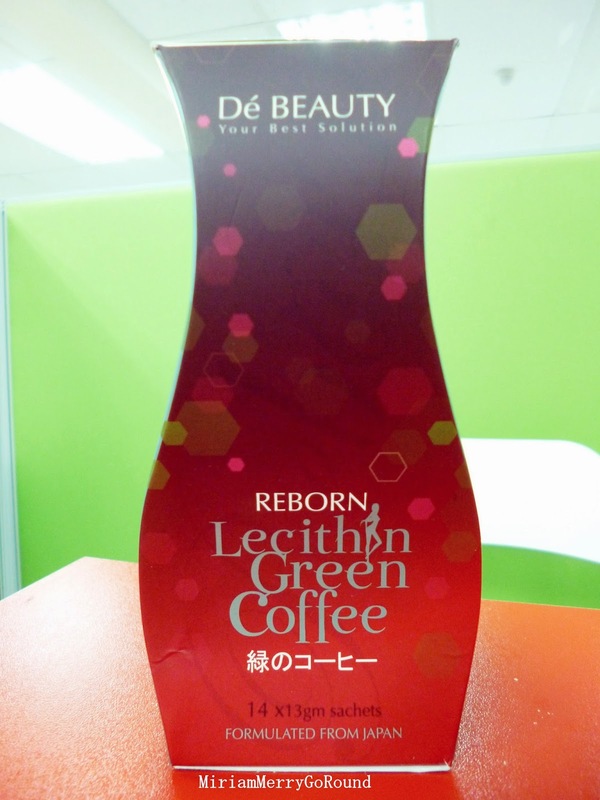 This time, I was given REBORN Lecithin Green Coffee Review by De Beauty for review. Every individual is special and unique. With this philosophy in mind, a beauty health care company was established – DE BEAUTY. As part of the beauty health care industry in Malaysia, the DE BEAUTY of today has become an enterprise with rapid development. 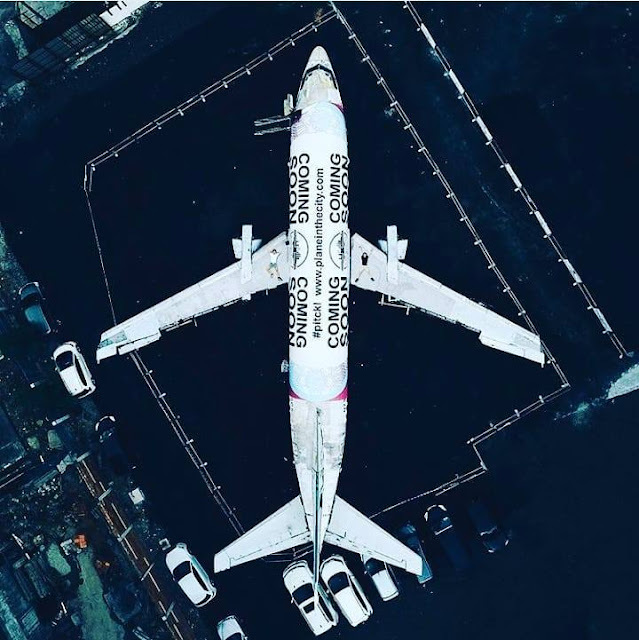 The business of DE BEAUTY has grown tremendously by providing the best products ever to more than 3 million people nationwide and is now one of the market leaders in beauty health care industry. So let's get on to the product that I received! 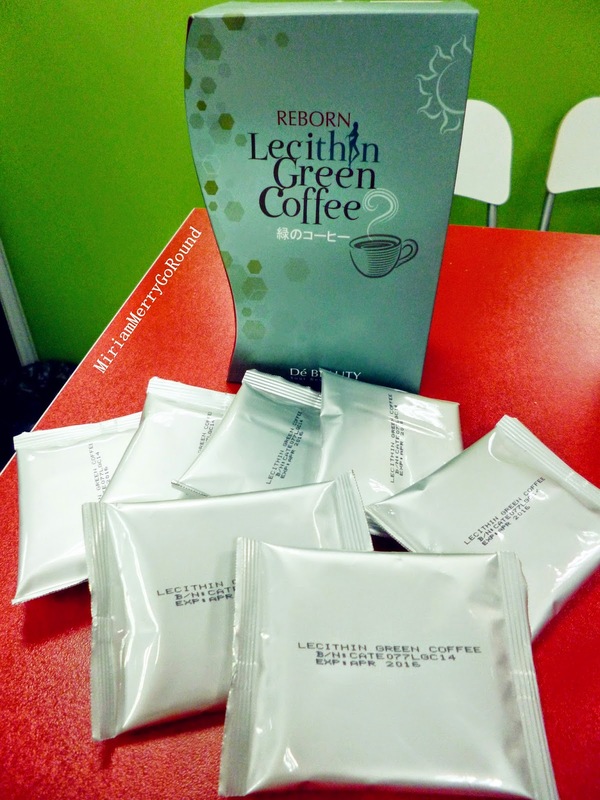 Green Coffee Beans has become the latest fashion in slimming products. Green Coffee: Fasten the blood circulation and metabolism process within a very short period of time. Lecithin: Break down the fat molecules, reduces the size of the fat molecules so that these small fat molecules are easier to be burned away. Can reduce cholesterol, enhance metabolism process as well as the function of liver. L-Carnitine: Burn the fat fully and converts the fat to become energy for the body to utilize. Good to combine with aerobic exercise which will enhance the fat burning process as well as the slimming effect! Green Tea: Eliminate abdominal fat. At the same time, it enhances the metabolism process indirectly which helps to fasten the burning process, break downs Triglycerides enzyme and achieves the slimming effect. Vitamin B: Enhance the burning ability of mitochondria and it acts as the nutritional supplier to mitochondria. The lack of vitamin B in mitochondria will result insufficient of body energy which will cause the difficulties in fat burning process which is delivered by L-Carnitine. Garcinia Fruit (Garcinia Cambogia): Inhibits the synthesize of fat. Enhances the burning process of fatty acids and speedily activates adrenaline and therefore, fastens the elimination of fat. It also breaks down as well as burns off huge amount of fat and reduces the absorption of fat. Enriched with dietary fibre which can increase stomach full feeling and thus reduce the consumption of food. (Chitosan): Block the absorption of fat in the intestines and yet, it will not affect the absorption of the essential protein which body needs. So firstly the packaging of the product really signifies the purpose of the product. From the side view, you will get an hour-glass shape of the box which promotes it to be a slimming product. 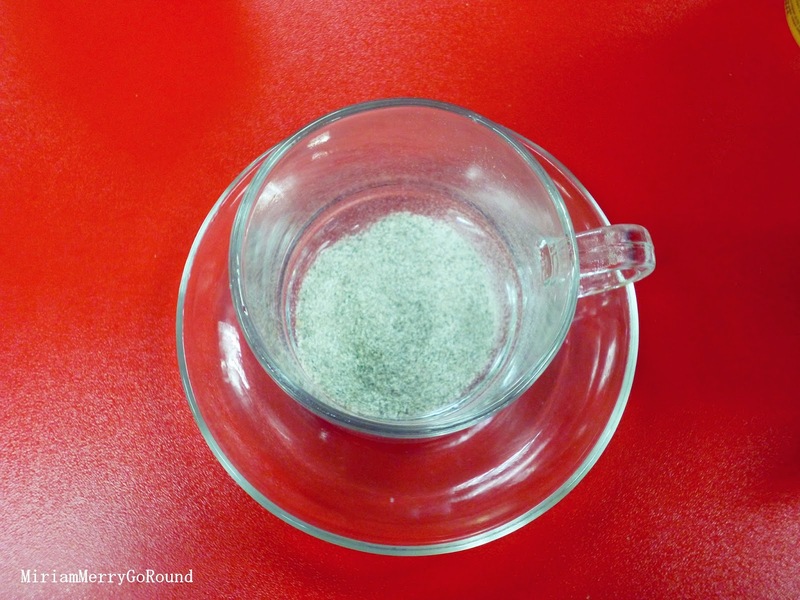 One sachet will fill a teacup depending on how concentrated you like your coffee. 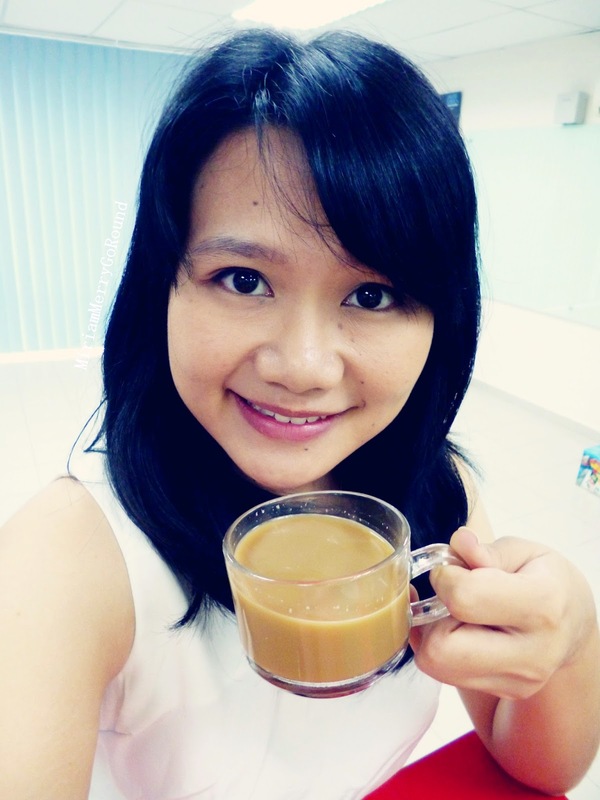 Although I am not really a huge fan of coffee, I still prefer my coffee thick instead of diluted. So I used a nice teacup to prepare my coffee. So you can see the consistency of the coffee for one teacup is still rather diluted for me but it depends how much water you would like to add to your coffee. 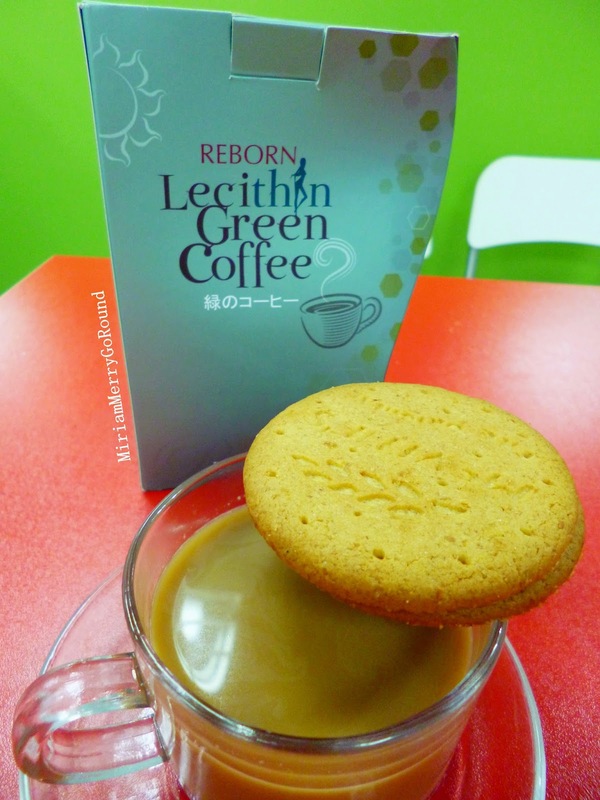 You can also enjoy your green coffee with a digestive biscuit if you have gastric problems to prevent drinking coffee on an empty stomach. Coffee can actually cause your stomach acid to increase which will cause gastric problems to those who have gastric. 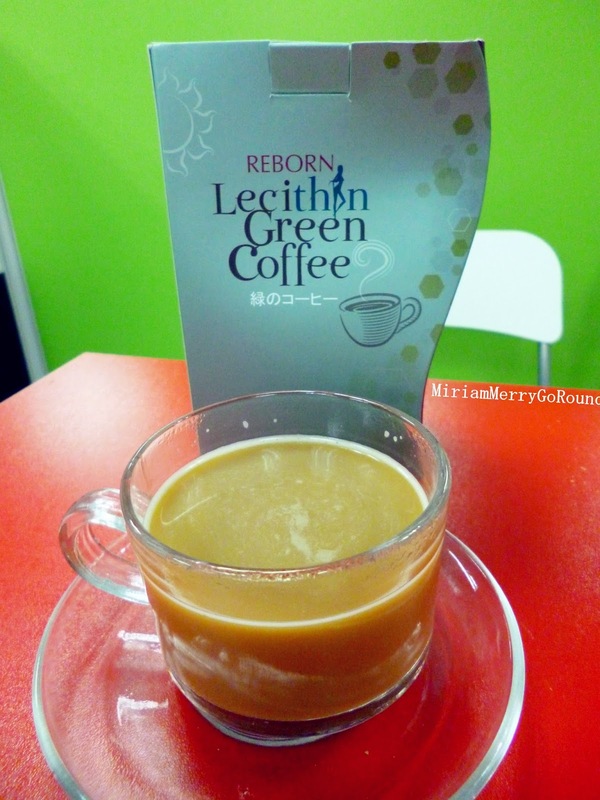 So here's my review on how well the REBORN Lecithin Green Coffee works. I drink it in the morning at work and it actually taste like any other coffee brands in the market. It has a nice aroma to it and not too sweet which was good. I rather enjoyed my coffee experience with it. In terms of it's functionality, it doesn't really work as a detox and you don't need to worry about running to the toilet after drinking it. It actually helps reduce your appetite and hunger pangs as it kept me full right until after lunch time. You do have to remember to drink lots of water to flush the fat and toxins in your body. So in a way, it does help the slimming process as you eat lesser when you consume this coffee. If you have large hunger pangs and would like to decrease the daily food consumption, I would recommend this coffee as it helped me have less cravings for all those sinful snacking while working. 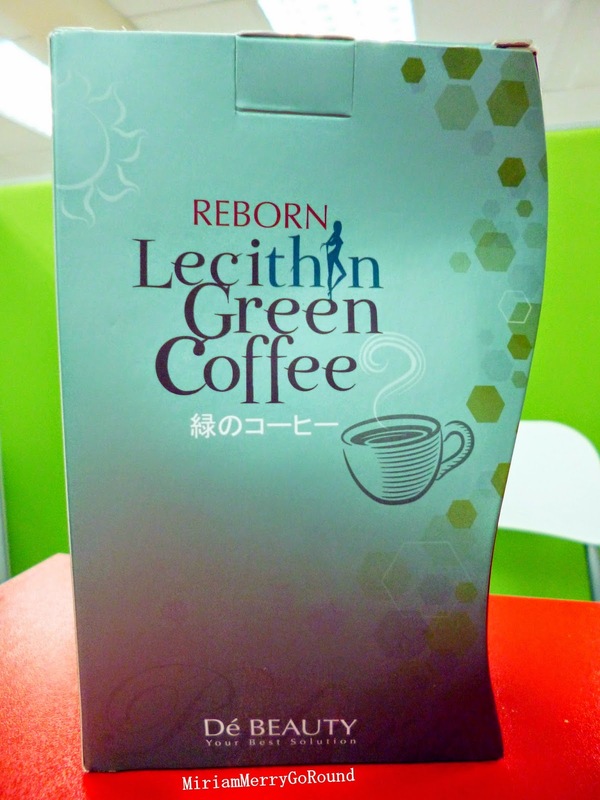 If you are interested with the REBORN Lecithin Green Coffee you can purchase it at HiShop here. There are also other De Beauty products that you can check out for your own beauty needs. 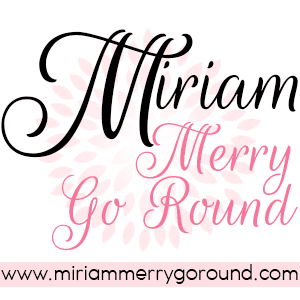 To my dear readers, you can get an exclusive 15% rebate off your purchase when you use this unique coupon code just for my readers. 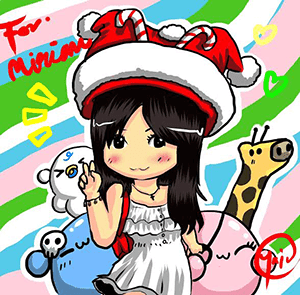 Remember to key in MIRIAM to get 15% rebate off!